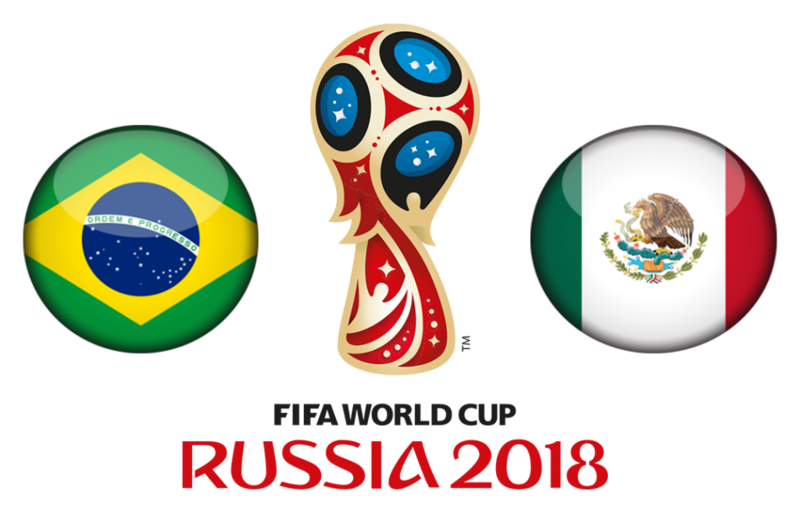 The clash between two South American teams, Brazil and Mexico, will be played at the Cosmos Arena in Samara on July 2nd. The Selecao have not shinned but have shown enough quality to top the Group E with 7 points, while the El Tri were perfect in the first two rounds, but failed to seal the top spot of Group F, losing to Sweden in the final game of the group stage. It should be an exciting duel as both teams play appealing soccer. Brazil has struggled in the first two games, recording a 1:1 draw against Switzerland, in what was expected to be a tough matchup, while the game against Costa Rica proved to be even a tougher game, as the Selecao sealed the three points in added time, with Coutinho and Neymar scoring a goal each in the 91st and 97th minute of the game. What is important to note about the Selecao is their sturdy defensive unit, which has been extremely tough to score on. Namely, besides allowing only 1 goals this tournament, the Selecao have kept a clean sheet in 10 of their last 13 matches at the FIFA World Cup. On the other side, Mexico has displayed a great form in the two opening games, catching by surprise favorites Germany with a 1:0 win, and defeating South Korea with 2:1. With the top spot of the Group E in their sight, the El Tri face Sweden in the final game and totally disappointed, as they were thrashed with 3:0, conceding all three goals in the opening 30 minutes of the second half. Neymar will be the key figure for Brazil in this matchup. The Brazilian star has scored only once so far, but he is the difference maker on the pitch as he can create room for himself and scoring chance pretty much anytime he touches the ball. Coutinho is currently the top scorer for Brazil, netting the ball twice, but players like Paulinho, Gabriel Jesus, and Douglas Costa are also going to create enough problems for the El Tri defenders. Chicharito has recorded a goal and an assist, but his presence on the pitch is very important for this Mexican team. Players like Hirving Lozano and Carlos Vela could prove to be dangerous for the Brazilian defense, but the most important unit on this team are the defenders, led by Salcedo, Alvarez, Gallardo, and Moreno, who will most likely miss this game due to injury and will be replaced by Ayala. Mexico has failed to score a goal against Brazil in their last 4 meetings at the FIFA World Cup tournaments. In addition, Mexico has failed to reach the Quarter-Finals of the FIFA World Cup on the six straight occasions. The El Tri odds to reach the next round are +340, while some off-shore sportsbooks suggest odds on Mexico to win the title at +5000. On the other side, Brazil is still the top favorite to win the title with +350 odds, while their chances of reaching the semi-finals are offered -150. This could be a tough matchup for both teams, as I believe that both teams will look not to concede. Betting on the draw at half-time (+147) could bring you some money, while the most likely outcome of this game is the under 2.5 goals, which is offered at -106.